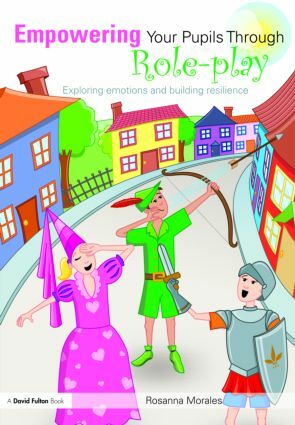 Empowering Your Pupils through Role-play reveals the power of role-play in creating a safe space for students to explore emotions and build resilience through performance, discussion and the sharing of ideas, whilst enabling teachers to meet curriculum outcomes. Designed to enhance personal development, the practical activities help students become effective communicators and active investigators. Working independently of the teacher, students collaborate with their classmates to build trust, and can be actively involved in group activities, or take part as observers and commentators. The activities in Empowering you Pupils through Role-play are challenging and designed to move students towards becoming alert and responsible young adults, actively able to engage with others and equipped with the skills to develop relationships and trust. The extensive role-play toolbox contains warm-up games, tips on writing and activities for mime, movement and improvisation. Teachers of children aged 4-11 with an interest in Personal, Social and Health Education will find this a practical and inspirational text. Rosanna Morales is an experienced author and teacher. Activity 3 – What’s going on?